Sleeker, lighter, faster. Speed­ing along at 324 kilo­me­ters per hour, the pod made by the WARR Hy­per­loop team shot through the tube of the test fa­cil­ity at the cor­po­rate premises of SpaceX. The fastest speed ever reached by Hy­per­loop pod! The stu­dents from the Tech­ni­cal Uni­ver­sity of Mu­nich won the Hy­per­loop Pod Com­pe­ti­tion in Los An­ge­les. Weller sup­ported the win­ner team with pro­fes­sional sol­der­ing sta­tions. The WX sol­der­ing sta­tions made their man­ual sol­der­ing process safer and the user-friendly mo­bile sol­der­ing so­lu­tions ac­com­pa­nied the team to the US. The “Hy­per­loop Pod Com­pe­ti­tion" was founded 2015 by the SpaceX founder Elon Musk. The Hy­per­loop is a con­cept for a high-speed train which is to travel through a tube con­tain­ing a par­tial vac­uum at close to the speed of sound. 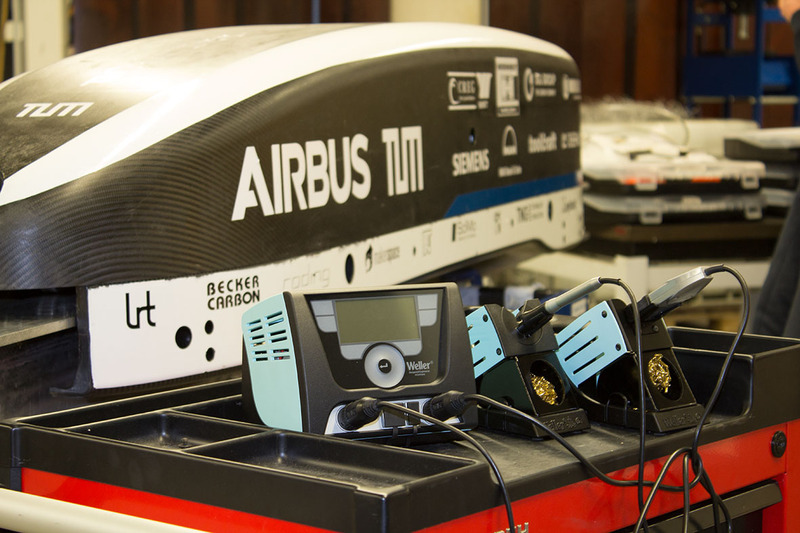 20 stu­dent teams from around the world par­tic­i­pated in the com­pe­ti­tion with their pod, the cabin cap­sule in which the pas­sen­gers will be trans­ported through the tube. 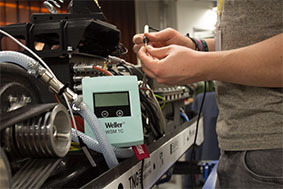 Weller con­grat­u­lates the WARR Hy­per­loop Team on their suc­cess!